18 Comments	This post may contain affiliate links. 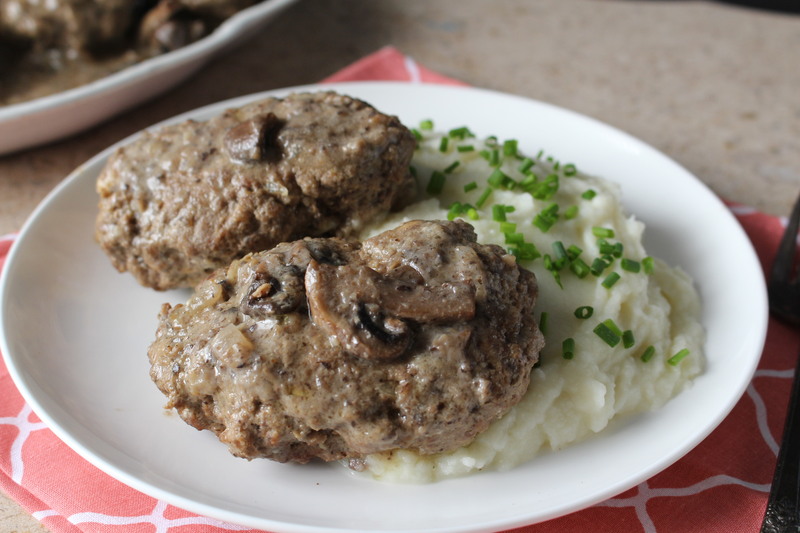 These Paleo Salisbury Steaks are classic comfort food made healthy. No dairy or grains, but all the flavor. These are also Whole30 approved! So, you’ve made the tastiest Cream of Mushroom and now you’re wondering what it would be good with. THIS is what it is good with. Simple, comfort food at it’s best. 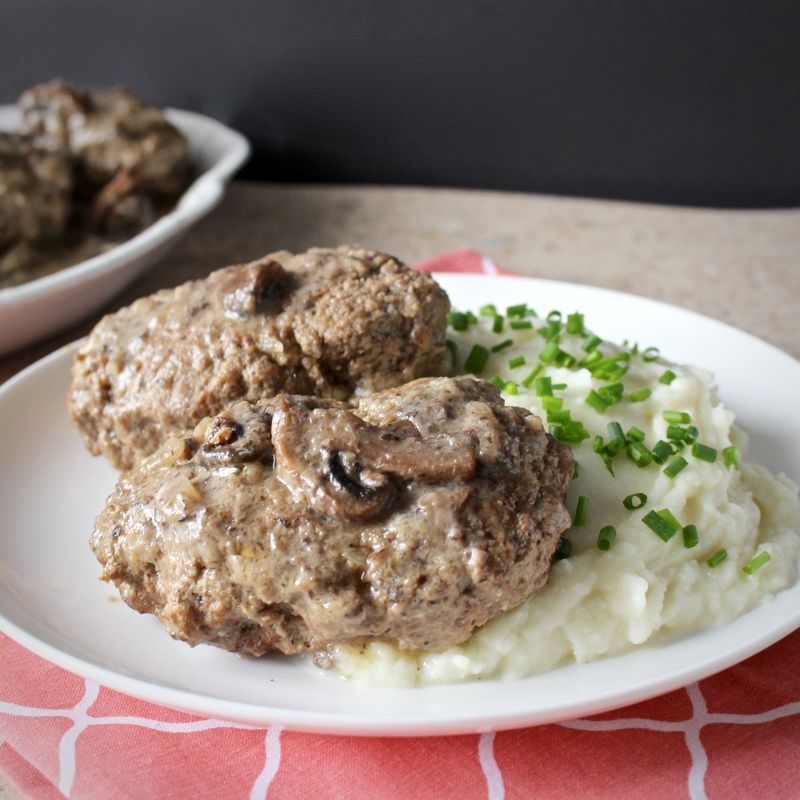 Little beef patties covered in a creamy mushroom sauce that can be made in under 30 minutes. Sounds like the perfect dinner to me. 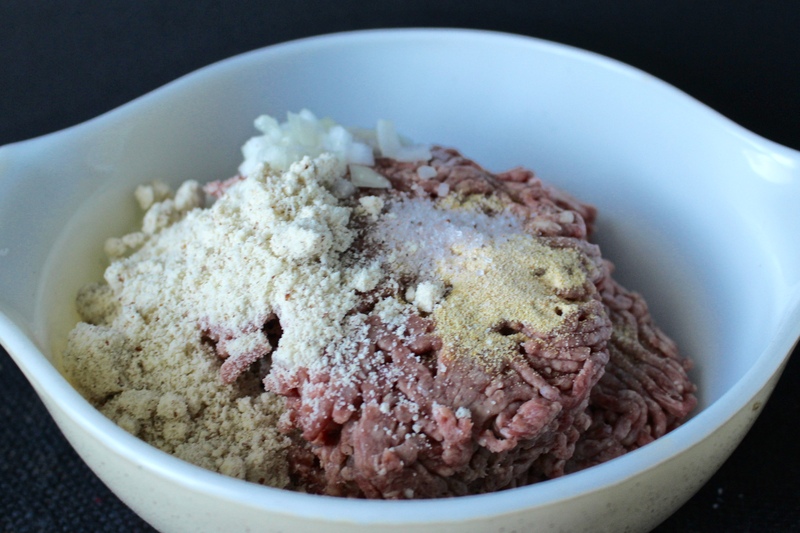 Mix the beef with the almond flour, onion, salt, garlic powder, egg, and coconut amino. Your hands are the best tool for this, just make sure they’re clean. Patty them into 8 equal oval patties. Wax paper works great to separate them. 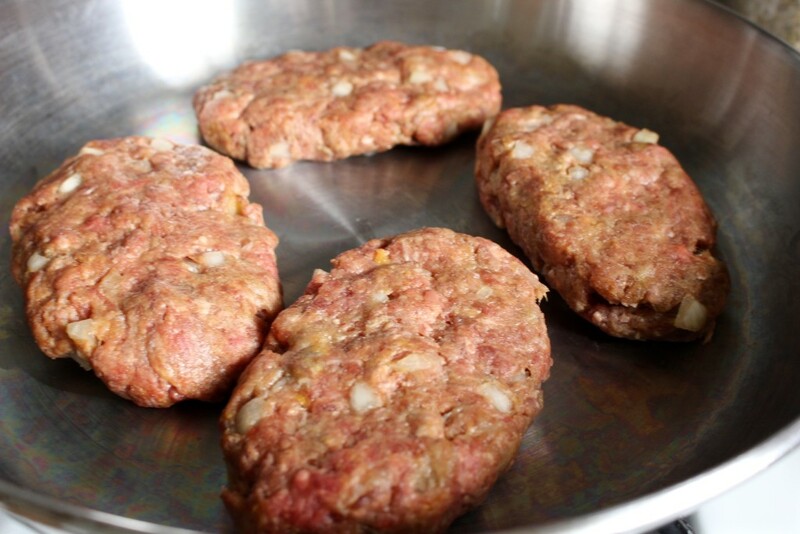 Place 4 patties in a large frying pan and sear for 1-2 minutes on each side. Remove to a clean plate and repeat it with the remaining 4 patties. This will not cook the meat all the way through, it just gives it a nice crust on the outside. Add the first 4 patties back to the pan. 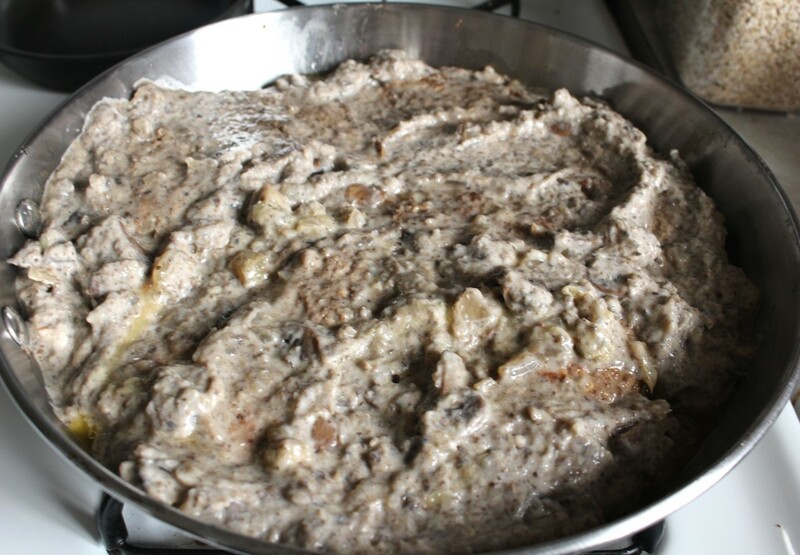 Cover it with the Cream of Mushroom and let cook for 10 minutes or until fully cooked through. 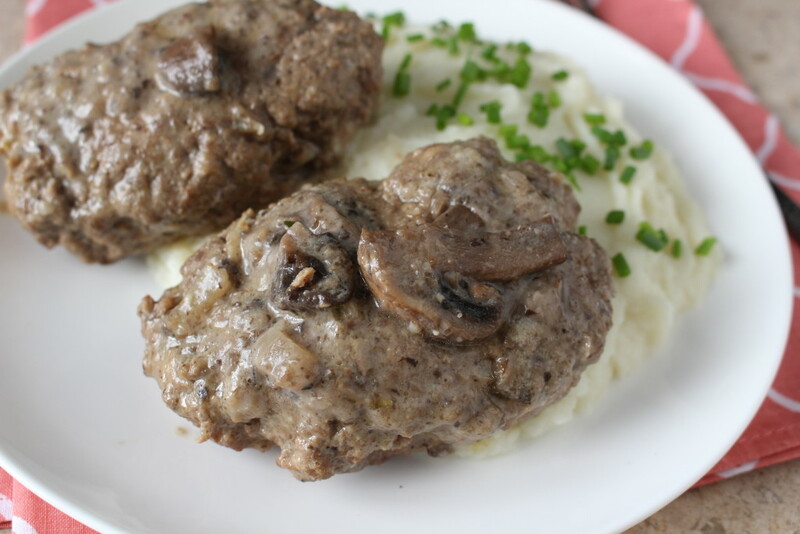 These are so good served over Mashed Cauliflower– such an amazing meal! Here’s the link again for the Cream of Mushroom. In a large bowl, combine the beef, onion, egg, almond flour, coconut aminos, garlic powder, and salt. 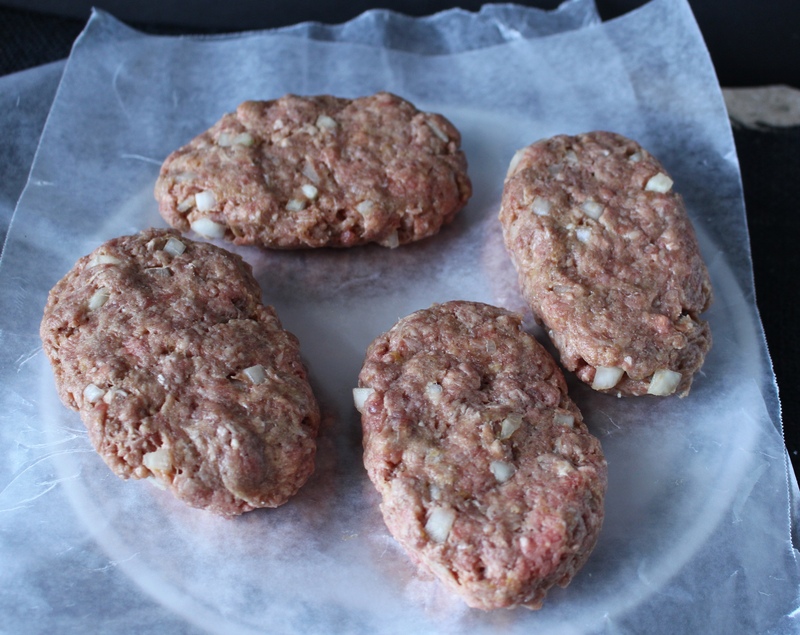 Mix with your hands and patty out into 8 equal size patties. I use wax paper to separate two layers on a plate. 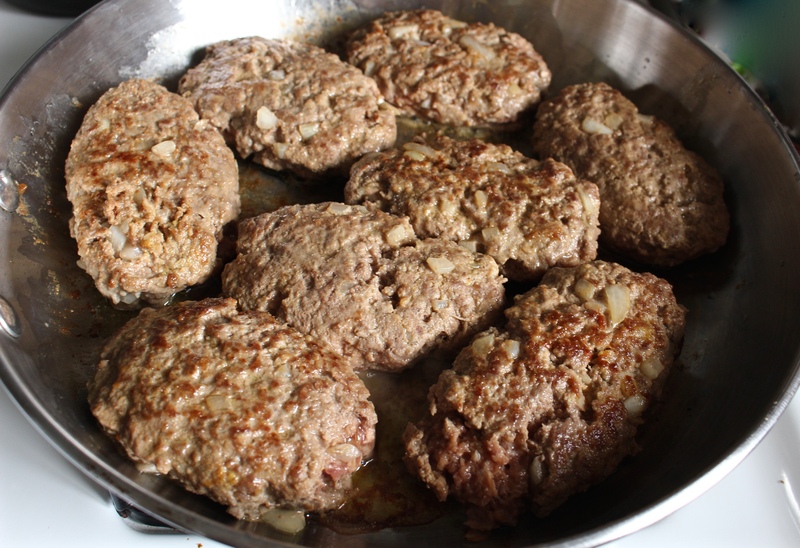 In a large sauce pan over medium heat, sear 4 patties at a time for 1-2 minutes on each side. This will not cook it all the way through. Once done with the first batch, remove to a plate and repeat with the second batch. Add the first 4 patties back into the pan and cover with the Cream of Mushroom. Cook for about 10 minutes or until cooked to desired temp (165° is considered safe). 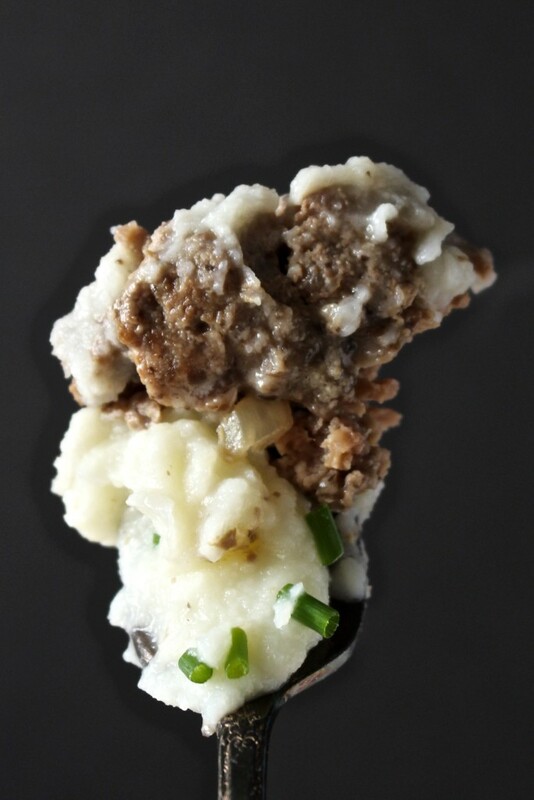 Serve warm with mashed cauliflower or potatoes. Quick question… Because of nut allergies in my home do you think I could switch almond flour for coconut flour? Hi Stefanie! Yes, I think that would would, but you won’t need as much. I’d say 2-3 tablespoons coconut flour would work. I hope you try them and enjoy them! Is there a way this could be made in a crock pot? Hi Ellen- you could cook the patties just to brown and then place them in the crock pot. That should work.